Timing matters. Speed-to-market is about getting relevant, compelling, frequent and consistent messages in front of potential customers to drive traffic, leads and sales. But many Brands and their Partners aren’t operating at optimum speed because issues with complexity, Brand compliance, local customization, and vendor management are slowing them down. 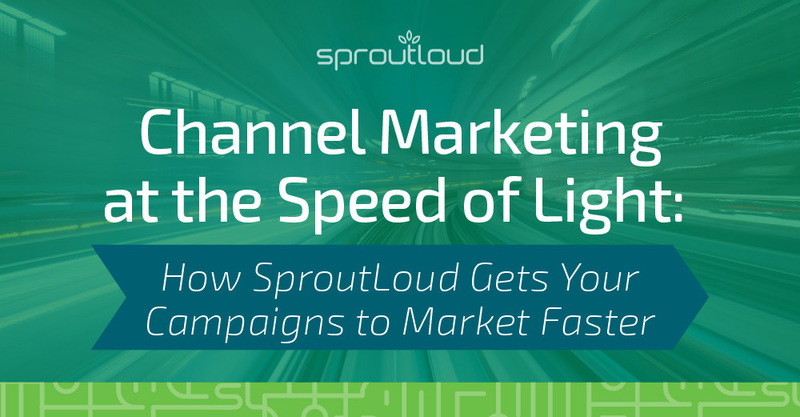 Let’s examine these obstacles and consider the how the right Channel Marketing Automation solution can help your Brand make the leap to light speed. Let’s take a closer look at what this means for Brand compliance and local customization. Brands are looking for high-quality expertise to create local marketing that is both flawless and Brand compliant. That’s why Brands develop complex and detailed Brand guidelines. When those Brand guidelines are shared across the Brand’s Partner network, multiple Partners review, interpret and share the guidelines with their own local vendors and agencies. And errors occur: an outdated logo, the wrong color, a typo in the messaging. This means marketing goes from agencies and vendors to Partners to the Brand and back again, when they’re not approved for execution. That’s how delays happen. But all this is completely avoidable, with the right Channel Marketing Automation solution. At SproutLoud, an integral part of our SaaS-based Channel Marketing Automation Platform is SproutLoud Studio, which takes the guesswork out of local customization. With Digital Asset Management tools and Brand-approved dynamic templates, SproutLoud Studio simplifies the process. This means Brands no longer need to manage queues of customization requests, because the templates’ parameters for customization are pre-set by the Brand. SproutLoud Studio transforms Brand campaign assets into flexible formats, eliminates delays due to lack of Brand compliance and helps get your Brand’s message to market faster. 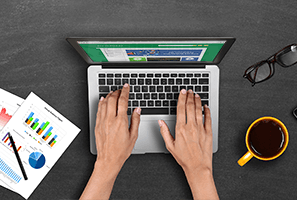 SproutLoud Launchpad allows Brands to select campaign assets, marketing tactics and the Partners who will have access to them in an easy-to-use web portal. SproutPay allows Brands to easily attach Partners’ Co-Op and MDF accruals directly to assets and tactics as incentives for their Partners and to influence engagement in the most effective tactics. 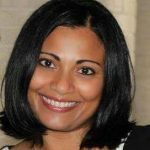 SproutLoud Studio simplifies local marketing customization and ensures Brand compliance with Digital Asset Management tools and dynamic templates. 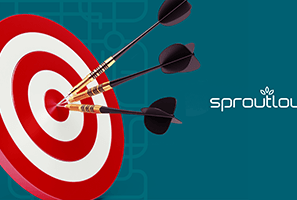 Automated Campaign Execution integrates virtually every marketing tactic and routes them to best-in-class vendors in SproutLoud’s Marketing Service Provider (MSP) network for last-mile execution. Our MSP network undergoes continual vetting, monitoring and evaluation, so Partners and Brands get flawless execution without any of the vendor management. With SproutLoud, your Partners don’t have to manage vendors, manage agencies, submit or re-submit ads for Brand approvals. This means your Brand’s local marketing gets to market faster and your Partners can focus on what matters most: customers and sales.